As a young girl, I loved spending time visiting the Auto Placement Center office in East Providence, RI. My Grandfather’s and Dad’s offices overlooked the salvage yard. Though not the prettiest of views to look at, it was a playground for kids with a love of cars in their genes. My sister, cousins, and I would be thrilled if a school bus or limo came into the yard and we were able to play in it for a few minutes. We would watch the cars get loaded onto different carriers that were being brought to auctions and dismantlers around the country, and we would search for so-called watch dogs that guarded the yard. It has taken me a few years to make the career change to be a part of a business and industry my Dad loves, but I could not be happier to be a part of it. In the late 60s, insurance companies were looking for a solution to dispose of their total loss vehicles they acquired during the claims process. There were more and more cars on the road which meant there were more accidents. My Father and Grandfather developed the first computerized total loss vehicle auction and management system, Auto Placement Center (APC). APC provided auction, transportation, and management services for end of life vehicles working with the property and casualty insurance industry. APC innovated the total loss industry, an industry that is now worth billions. With the success of APC and the total loss vehicle management system, insurance companies encouraged my Dad to build a new service that provided their appraisers access to the auto recyclers’ parts inventories. This allowed insurance companies for the first time, like body shops, access to secure, clean, used recycled parts to use in the repair of their damaged vehicles. This new system, which soon became Comsearch Inc., was born well before the Internet. 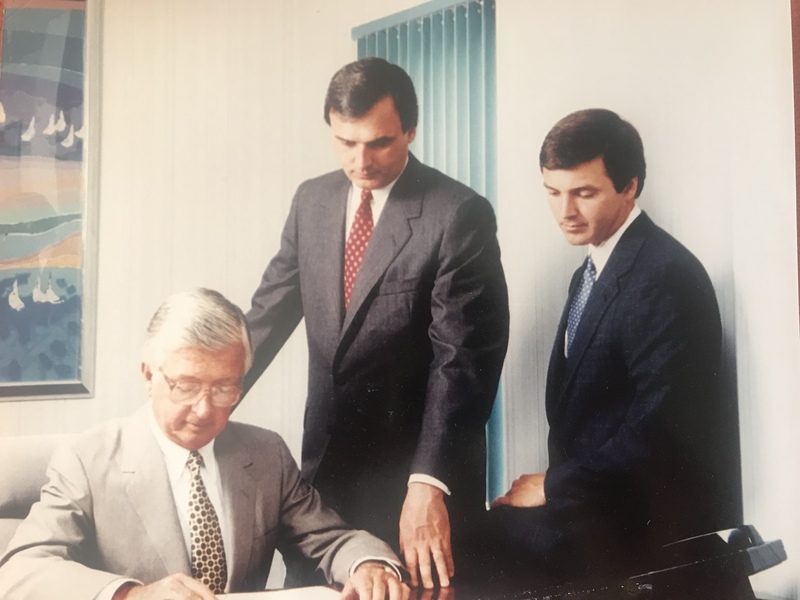 The industry and both companies continued to grow with rapid success and in 2001, APC and Comsearch Inc. were sold and marked the first time I thought my Dad was retiring. However, he continued to work, start many new projects, and in 2005 bought Comsearch Inc. back. 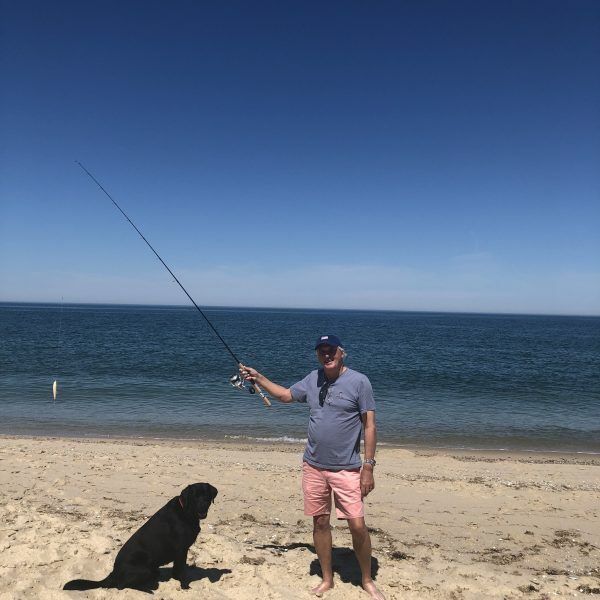 In the midst of working, selling, pretending to retire, and rebuying a business, my Dad stayed connected with a past colleague, Joe Hearn. 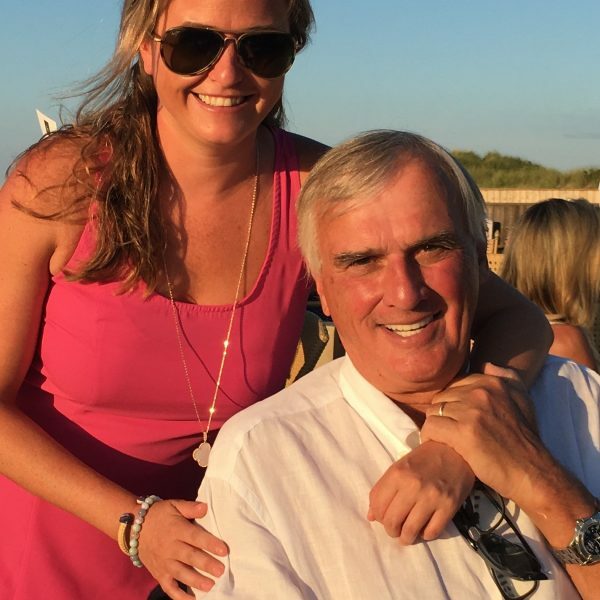 Joe, CEO of Advanced Remarketing Services, and my Dad both shared the desire to solve how things could be done in the remarketing and car donation industry. They both knew that there were better ways to connect buyers and sellers within the industry and had the technologies to do so. When vehicle donation was still a relatively new idea, companies and nonprofits handling these end of life vehicles found that cars were being abandoned all over the place, and were not realizing their full value because they were not being dismantled and scrapped for parts and recycling. Both gentleman were experts in the low-end vehicle market and Joe’s knowledge within the nonprofit world help lead the way to a company that was able to help solve these problems nationwide. Thus, Advanced Remarketing Services (ARS) was started. ARS would be an independent third-party company which would review each vehicle, and place the vehicle for sale in the best venue in order to obtain the highest price while not favoring any one auction. Focusing on the whole vehicle life cycle, where other remarketers find difficult or of little value, ARS has always seen opportunity. ARS’ goal was to provide services in all 50 states and strived to have the best expense to net dollar recovery in the industry for charity vehicles. ARS is able to provide low cost service to its charity clients and obtain the highest dollar return by leveraging its leading technology across several divisions – auto insurance, automotive leasing and banking. ARS then and still proudly returns 80 cents of every gross dollar to the charity, something no other car donation program can compare to. Advanced Remarketing Services recently accomplished a major milestone of raising 150 million dollars for our charity partners. I have the pleasure of working with our charity partners on a daily basis and becoming a part of the partnership with these wonderful organizations that Joe and ARS have created over the years. Stepping away from the day to day business world, my Dad still enjoys and plays a part in the ARS and Comsearch success. Being the entrepreneur that he is, last year he backed a business venture started by my cousin and myself (what’s another family business? ), and he continues to look for new ideas and businesses to be a part of, never quite retiring. And on top of all of this, he is my Dad. My loyal, loving, funny, friend and role model. Among many things, and besides help guiding me into this industry, he taught me how to fish, hit a baseball, develop a love for all New England sports teams and to never give up. I’m blessed and honored to call him my Dad, and to have him as the best possible resource as I start a career at ARS and be a part of the growth and successes he helped establish.